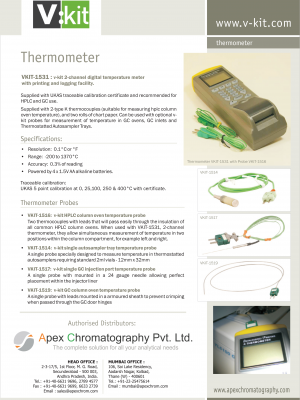 V-Kit – Apex Chromatography Pvt. Ltd. 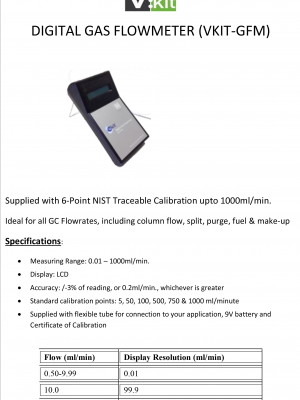 Established in 1996, NLG Analytical forged a reputation as a quality led, laboratory service organisation, providing maintenance and particularly analytical instrument qualification (AIQ) support via its Labserv brand. 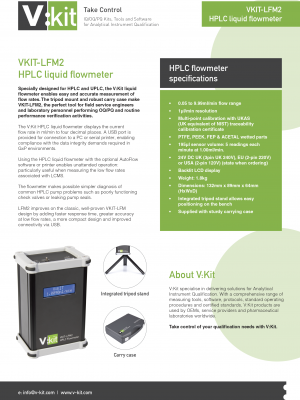 Following the sale of Labserv in January 2012, and endorsed by the change of name, V:KIT Ltd is now focussing entirely on developing the V:KIT range of software, reference standards, tools and procedures for AIQ.We launched V:KIT in 2002. Its creation was driven by our own experience in service delivery— recognising the need for a more efficient, consistent and cost-effective way of qualifying instruments. V:KIT has grown to become the world’s leading independent IQ/OQ/PQ system. Our success is based on knowledge, experience and dependability. We provide products and services to a comprehensive range of clients, from the smallest laboratories to the largest multinationals.